Hillary Clinton continues to slide in her credibility ratings among the youth of the Middle East. 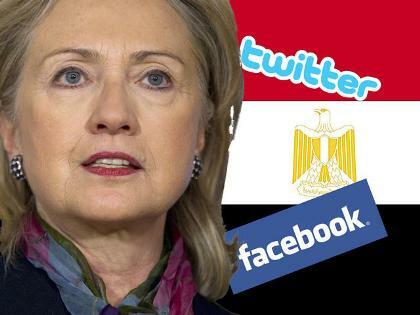 The Egypt Youth Revolution refused to meet with her in Cairo, reflecting the disdain for her expressed on the twittersphere. Democracy-seeking youth can see through her hypocrisy and the BS and aren’t about to let her get away with it. She’s being pillared on Twitter hard – and well deserved. What a disappointment you are, Hillary. That’s me talking, by the way.